Validation Rules: Code or Database? This week, I have the privilege to have a guest post on Pinal Dave’s SQLAuthority blog. The post briefly addresses the advantages and disadvantages of putting validation rules in code in your application, versus in stored procedures in the database. Read it here. Posted on November 13, 2014 Categories GeneralTags SQL, Tips and TricksLeave a comment on Validation Rules: Code or Database? Last night I learned (or I should say re-learned) a hard lesson. Several lessons, actually. More on that in a moment. I built a VM using Hyper-V to have an isolated environment for client work. Stored the VM and its .vhdx file on an external drive. So far, so good. But for performance, I figured it’d make sense to set the VM up for boot to VHD. Did I mention the VM was installed on an external disk? This post is for anyone who podcasts, videocasts, or otherwise relies for their living (or hobby) on recording their voice on their computer. It’s particularly addressed to folks like myself who record screencasts, in which you’re teaching people to use software, oftentimes including demos in which you’re typing live while recording your screencast. 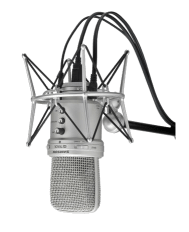 Last year, I wrote a primer on audio gear for podcasters, as well as a follow up with some additional recommendations. In the first of those posts, I mentioned that I use a RODE PSA1 boom arm for my microphone. This is possibly one of the most important pieces of audio gear I own, even though there isn’t a single bit of electronics in it. The motivation for this post is the fact that I was listening to a video tutorial (I won’t share where, or who authored it, as that’s not really the point). From the sound quality of the video, it sounds as though the author is using either a built-in mic on their laptop, or perhaps an inexpensive USB mic on a desktop stand. There’s a fair amount of ambient echo, which is typical for rooms that haven’t been acoustically treated, and which is usually perfectly fine. What’s not fine is hearing repeated thudding each time the author hits their desk. And the thud-thud-thud that comes with every keystroke during the demos. Understand, the point is not to knock the author of this course. It’s to point out that there’s a very easy way to avoid this…a boom. 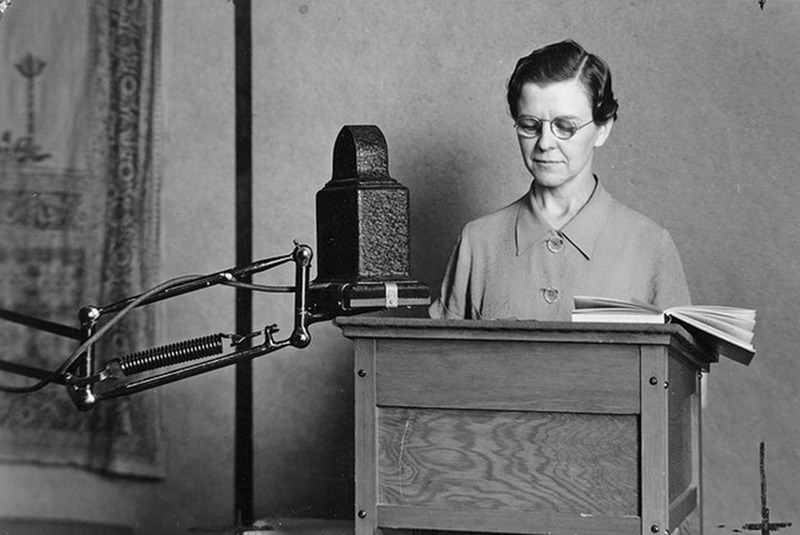 A microphone boom arm helps isolate your microphone from sources of noise, including inadvertent taps and bangs on your desk, as well as keyboard noise transmitted through the desk. You can get some of this benefit from a shock or spider mount, but a boom does the best job at isolating vibrations, which is why they’re used by radio professionals, who rely on good sound for their living. The other big thing that a boom mic can do is improve the signal (i.e. your voice) by allowing you to place the mic closer to the source, namely you. With a boom mic, you can place the mic within a few inches of your face, which will ensure that what you record contains more of your voice, and less of whatever else is going on (echos, outside noises, etc.). If you don’t have a pop filter, just speak slightly off-axis to the mic (turn slightly to the left or right), and you should be able to get a great signal. into cheaper solutions, like a spider mount (and to be clear, a spider mount is a must even if you do use a boom). But if you get paid for recording your voice, a boom is a seriously worthwhile expenditure. If your audio has problems, most people won’t tell you that directly. They may not even notice it consciously. But they’ll probably stop listening. And in addition to the improvements in audio quality a boom can bring, it also adds convenience. Having my mic on a boom means that there’s one less thing cluttering my desk. When I’m done recording a given podcast or video, I just swivel it up out of the way. I’d love to hear from other podcasters and videocasters about any tips you have for getting the most out of your gear. Drop a comment below, or feel free to use my contact form. Posted on April 1, 2014 Categories GeneralTags Podcasts, Screencasts, Tips and Tricks5 Comments on Boom Or Bust! This post may well come out sounding like an ad for Meetup.com. Not my intent, but so be it if that’s how it comes across. I’ll also state clearly that I don’t have any formal connection with Meetup, although I am a co-organizer of the DC/Baltimore Windows App Developers Meetup, and I’ve also written a couple of APIMASH Starter Kits that leverage the Meetup API. Protocol Activation: What Is It, What Apps Offer It, and How Can I use It in My Apps? Continue reading Protocol Activation: What Is It, What Apps Offer It, and How Can I use It in My Apps? Posted on August 28, 2013 Categories GeneralTags C#, Screencasts, Tips and Tricks, Windows 8, Windows Store, XAMLLeave a comment on Protocol Activation: What Is It, What Apps Offer It, and How Can I use It in My Apps? How do I know this? Often, I’ll have a browser window open in InPrivate mode when I need to use different credentials from my day-to-day browsing, such as for admin tasks on my Azure services.